Although extremely similar in layout to other found-footage anthology films, The Dark Tapes does well enough to hold its own; all four films show originality, and there is no fault in terms of the acting. Directed by Vincent J. Guastini and Michael McQuown, The Dark Tapes is a Sci-Fi/Horror found-footage anthology, something we've seen a lot of in the past few years. Trick ‘r’ Treat seemed to start off the horror anthology trend and it seems to have gotten even more popular in terms of found-footage films since the first V/H/S was released in 2012. 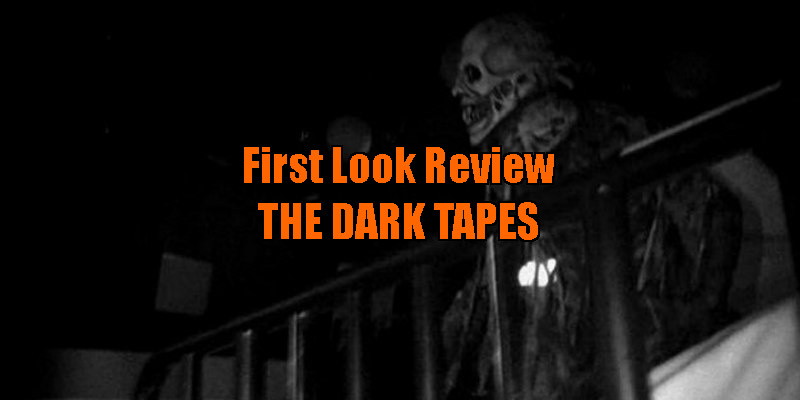 I personally am a big fan of the V/H/S franchise and was rather excited to find out I was reviewing The Dark Tapes. Like V/H/S, the stories in this film aren’t related in any way; it's one main story (as I like to call it) that runs in between, then three other separate short films. It starts off with a man and a woman who arrive at a location where it looks like an experiment gone wrong has occurred. We then flash forward to our first tape 'To Catch a Demon', which is about some physicists who attempt to catch a Demon on their camera, but their experiment takes a turn for the worst. The second tape, named 'The Hunters and the Hunted' is a take on the Paranormal Activity phenomenon, with a twist that is truly shocking. The third tape, called 'Cam Girls', is about a female couple who do strange and unusual things on camera in their spare time. And the final tape is 'Amanda’s Revenge', which is about a girl who suddenly gains telekinetic powers after being attacked by two boys at a party. 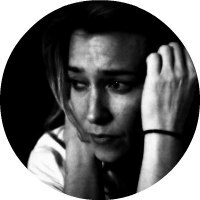 Found-footage horror films are more forgiving than regular ones, especially for low-budget directors, because there is more room for error; the camera effects don’t need to be amazing and the acting is more natural. I feel like it is easier to gain suspense and horror with found footage. I often think that it’s what you can’t see that is scarier, and because it’s in such a naturalistic manner, it puts the viewer in a position where it looks more real, which personally I think is scarier. The majority of the short films are fantastic. Of course, I have my favourites, which I think are tape 02 and tape 03 - the ideas are original and the practical effects are realistic. I do like the idea of the “main” film, it’s just the special effects ruin it a bit for me. It did say however at the start of the press screener of the film that the special effects weren’t finished yet, but I do think that even if they were of a better quality it wouldn’t have made a difference to me – I would have preferred it to be more suspenseful. The last tape is the weakest for me, which is a shame because it really shows some great ideas for plot; it's just a bit too slow for a short film. Although extremely similar in layout to other found-footage anthology films, The Dark Tapes does well enough to hold its own; all four films show originality, and there is no fault in terms of the acting. There could have been some editing work to make the film slightly shorter with the same effect, but for a low budget film, this isn’t much criticism at all. Like V/H/S and The ABCs of Death, I’d possibly like to see a sequel to The Dark Tapes.